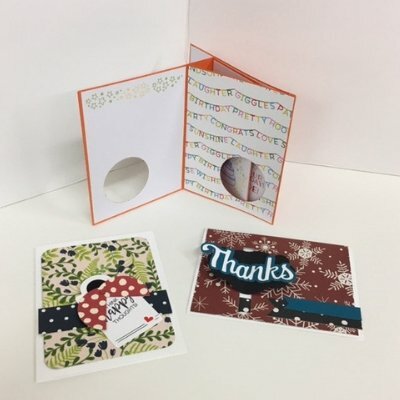 Come “TAKE 5” for yourself and spend time making 5 cards. The first 2 cards (and you will make 2 of each, for a total of 4) will be clean and simple, which means that they are straight-forward to make, but will also include some techniques like stamping, using sketches and learning some basic design principles. The Fifth card will be a bit more FAB and bring in some more techniques and ideas too. In January, we'll make cards from 2 designs that reveal hidden messages, and our Fab 5th card will have an interactive element that is sure to surprise and delight! Materials Included: All the supplies and instructions needed. Requirements: Please bring your own basic tools and adhesive.